Never Go To Bath And Body Works Without A Coupon! 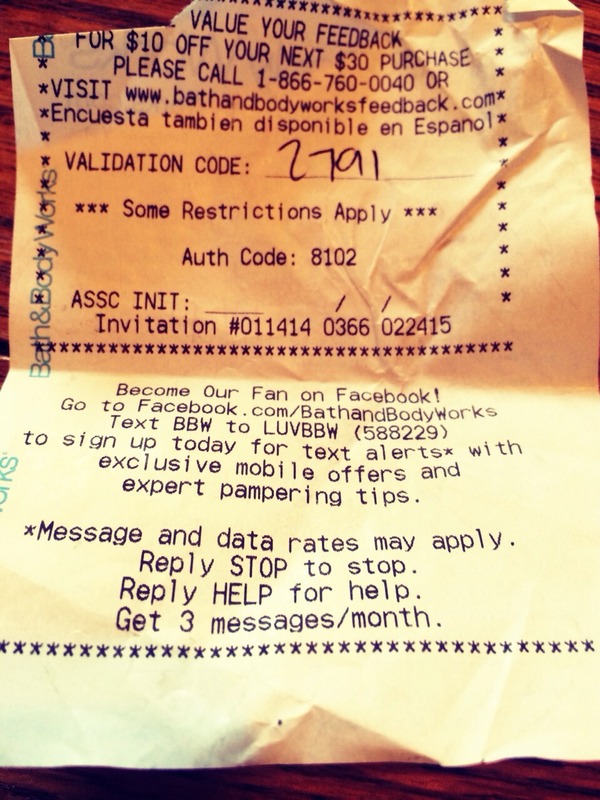 Look at the bottom of an old B&BW receipt. Now tear on the dotted line. Write down any four numbers that comes to your head. You now have a never expiring coupon that let's you save 10$ on a 30$ purchase.